Two leading University of Texas at Arlington faculty have been named fellows of the National Academy of Inventors, bringing the total number of UTA fellows to 14, the highest number for a Texas university. The 2018 class includes Provost Teik C. Lim, also a professor of mechanical engineering, and L.K. Mestha, an affiliated adjunct professor in the Department of Electrical Engineering. Election to NAI Fellow status is the highest professional distinction accorded to inventors who have demonstrated a prolific spirit of innovation in creating or facilitating outstanding inventions that have made a tangible impact on quality of life, economic development and the welfare of society. Lim is an internationally recognized leading scholar in the field of structural vibrations and acoustics, as well as modeling and simulation technology. He holds three patents for active noise cancellation in collaboration with colleagues at Ford Motor Co.
Ming-Ran Lee of Ford Motor Co., who collaborated with Dr. Lim on research, said Ford uses those critical patents to improve the driving experience and maintain a technical competitive edge in vehicle quietness. 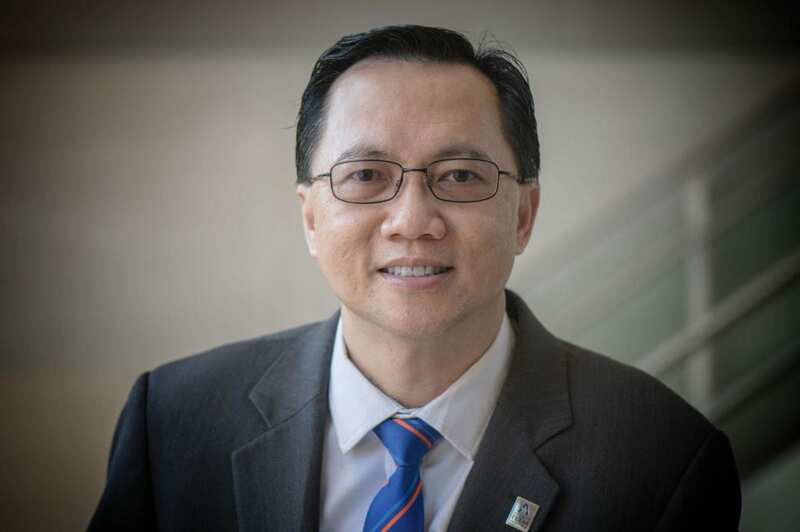 Mestha, an adjunct professor in UTA’s Department of Electrical Engineering and director of biometric research at KinetiCor Inc., specializes in electrical engineering and bioengineering. He has received 246 patents and has worked for such business stalwarts as GE Global Research, Xerox Research Center, the Superconducting Super Collider and Rutherford Appleton Laboratory. “When you work shoulder to shoulder with industry on a problem you know they have, it’s very satisfying to experience the positive results from your work in the classroom and labs,” Mestha said. As part of his biometric research at KinetiCor, Inc., he is responsible for developing solutions in the healthcare field. Earlier in his career, Mestha was a principal engineer at GE Global Research and a research fellow at Xerox PARC. In addition to 246 patents, Mestha also has 80-plus patents pending, 80-plus papers and three books to his credit. Lim and Mestha represent the most recent UTA faculty to be elected as fellows of the National Academy of Inventors. With the election of the NAI 2018 class, there are now more than 1,000 NAI Fellows, representing more than 250 research universities and government and non-profit research institutes. The 2018 fellows are named inventors on nearly 4,000 issued U.S. patents, bringing the collective U.S.-issued patents held by all NAI Fellows to more than 35,000. Last year, The University of Texas at Arlington was granted 23 U.S. patents, a success that contributed to UT System’s overall No. 3 ranking in the Top 100 Worldwide Universities Granted U.S. Utility Patents in 2017. In the past two years, 10 startups have emerged at UTA, with seven of those companies based on UTA technology. The companies include those aimed at improving crop growth and yield, sensors development, apps for businesses, cancer therapeutics and hyperspectral imaging, among others.